On May 19th, in the middle of the night, our little man was born into this world. He was 6 weeks early. He was breech. 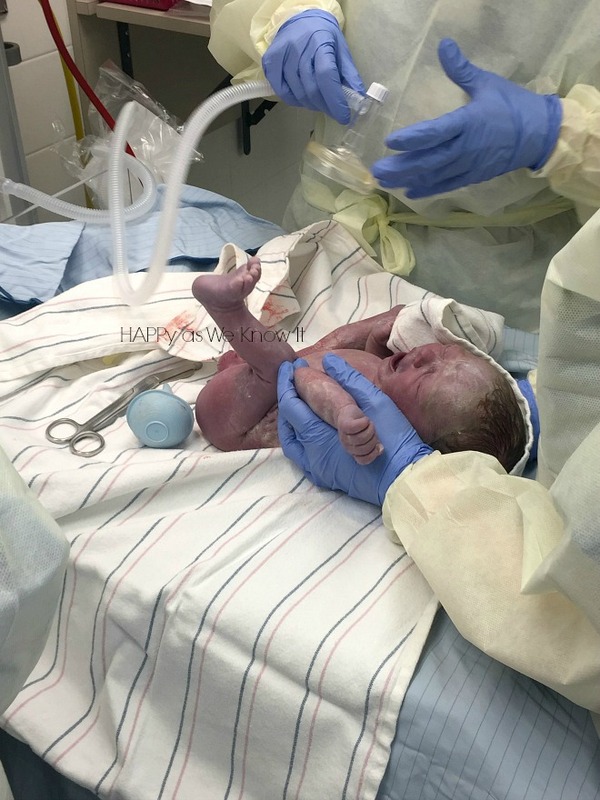 He was delivered via c-section. He was whisked away to the NICU where we still currently reside. None of these things were part of my plan. None of these things were what I envisioned when I thought through and prepared for our birthing experience. None of these things were what I wanted for us. I wanted him to come on time. Head down. Vaginally. Naturally. I wanted him to be in my room with me to spend those precious post-birth moments together before we headed home to start this new journey as a family of three. A little before 6:00pm on May 18th, I was relaxing on the couch after a long work day while my husband (bless his heart) was preparing dinner for us. I had been battling a cold the past few days and was just wiped and achy feeling everywhere. Little did I know that that achy feeling may have been more than just the cold. Just a few moments after I laid down, I heard and felt a small pop and within minutes, water started gushing everywhere. I spent a brief moment trying to convince myself that my bladder had gone haywire, before residing to the fact (as puddles were forming on the floor), that my water had broken. I was terrified. Terrified for us as we weren't ready yet. Terrified for our little one because at 34 weeks, he wasn't either. After a call to our midwife, we were instructed to head to the hospital so that I could be checked to see if my water had, in fact, broken. We grabbed our bags (which were luckily already packed as part of my "just in case plan") and we were at the hospital by 7:00pm. 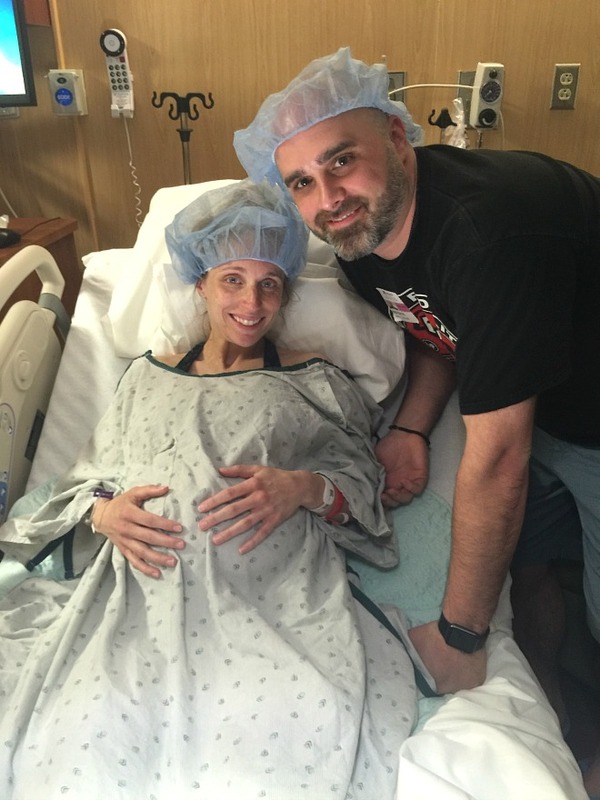 Upon arrival, it was confirmed that my water had broken, and at this point, we would just wait and let the labor process progress naturally. In the meantime, I was to be given steroids and antibiotics to help boost little man's lung development and ability to function in this outside world when he did arrive. Once this was decided, my midwife shared that he was going to do a last minute ultrasound just to check and ensure the baby was in a good position for delivery. For weeks, prior, my midwives had been telling me that they believed he was head down, so I felt pretty confident going into this venture. Within seconds, however, my confidence was shattered as my midwife informed me that he was as breech as breech could be. Naturally, I burst into tears and asked him to please check again and even have someone else check if he had to as that just couldn't be right. The kind soul that he was, he asked a doctor to come double check it for me and again it was confirmed our little man was in the opposite direction he needed to be. Because my water had already broken there was no way of flipping him at this point, and thus, they told me I needed a c-section. I was devastated. I had prepped for weeks on end for a natural birth - attending all the classes, reading all the books and practicing my positions and breathing. My birth preference page beautifully typed up and highlighting exactly how I wanted this process to play out was now rendered nearly useless. To top it off, as the minutes progressed, so did my labor. What initially they had thought would be quite the lengthy endeavor, turned out to move at quite a rapid pace. I went from early to clear active labor within just a few short hours. We barely had time to get the medications in my system, when the midwife informed me, it was time. Time to have our baby too early. Time to take part in a major surgery for which I had worked so hard to avoid. Time to meet our little man. Within minutes of being prepped for surgery, our little man was here. I will never forget that cry. Loud, proud and the most beautiful sound I had ever heard, as it meant our child was alive and well. 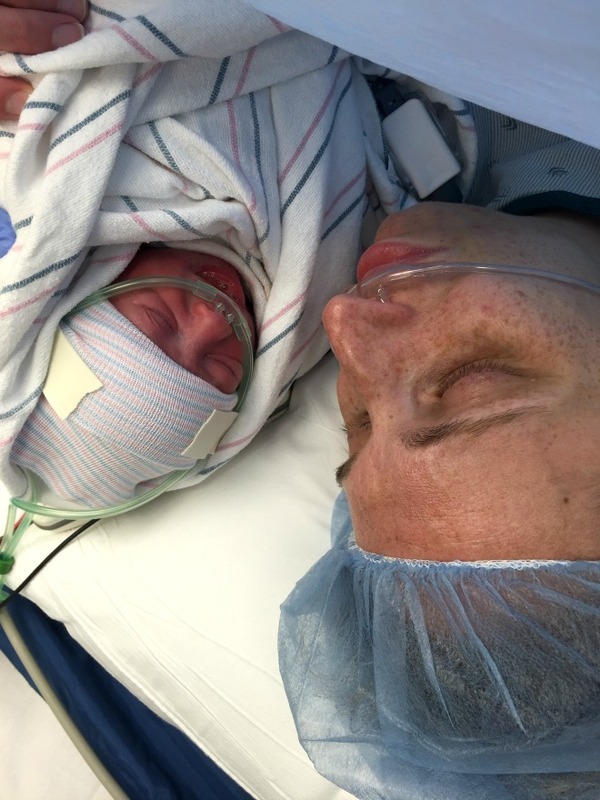 And thank goodness for that cry, as that was truly the only piece of him I was able to connect with for the first several minutes as he was whisked away by a team of nurses and docs before I even got to touch or to hold him. Another piece of my plan that I had to let go of. That picturesque skin-to-skin bonding moment I had imagined post birth, was just that - something I had imagined that in reality would not come to be. After what seemed like an eternity, they brought him over to me to see him for a few brief moments prior to taking him away all too quickly to the NICU. I insisted that Ryan go with him as they put my body back together, as he needed him more than I did. But I will admit those were lonely and difficult moments as I lay there getting sewed and stapled shut and beginning to take in all that had just happened. Over the course of the next few days as I spent time regaining feeling in the lower half of my body, being pushed around in wheelchairs and taking multiple daily trips to visit our son on a separate floor of the hospital, I couldn't help but feel a mix of emotions. Joy. Because I am now a mom. Worry. Because our little man is in NICU. Pain. Because, well I had just had surgery. And if I am going to be honest, even sadness and grief. Because everything I imagined and planned for through this birth journey did not come to be. Because our child was alone, without his mama, working so hard just to breath at the moment. And even because I felt robbed of the 6 weeks I was still supposed to be bonding with him in my womb. 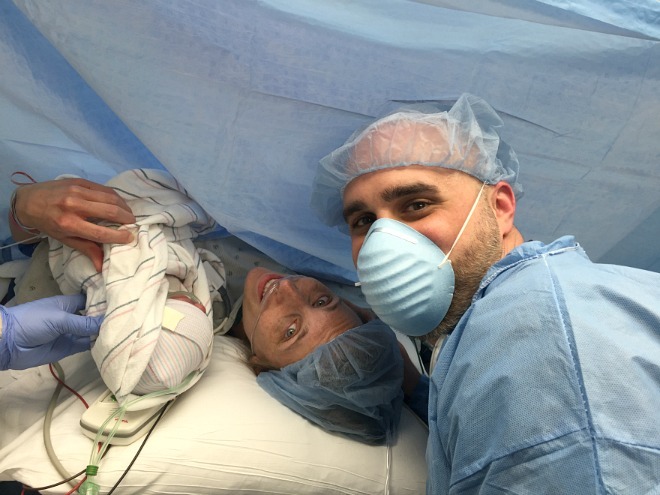 My birth story did not go as I had planned. Not even close. And while I think all of the emotions I was and at times am still experiencing are completely acceptable and human, I must remind myself that this plan I had envisioned was just that - my plan. I must remind myself that sometimes the Lord has plans that are different than the ones we plan for ourselves. Not only different, but better - even if we don't see that right away. I will admit, as we are still only 2 weeks out and I sit here in the recliner of our NICU room writing this, I still have a difficult time accepting that what God has chosen for our story is better than what I had wanted for us. However, I do also firmly believe that trials and testing of our faith only makes us stronger and brings us closer to God. And this is what I must make a conscious choice to hold on to in all of this, or those overwhelming emotions and "why me" attitude can be all consuming. I must and do chose to be grateful for what the Lord has done. While born early, we have a handsome and healthy baby boy. We have nurses who have taught us so much about how to care for him, and we will probably be even more equipped than most parents to do so when we head home. We've learned what supportive and incredible family and friends we have surrounding us in our lives who are willing to pray, help out and even drop what they are doing to be by our side at a moment's call. We've learned to take a step back from the busy-ness of life to appreciate little, yet huge moments, like our son breathing and drinking milk on his own. And maybe the biggest thing we've (and in particular I've) learned is to let go of control. Believe it or not, I am not in control of everything, no matter how much I prep, plan and try to take the reigns. And this was a stark reminder of this. Motherhood (as I have been told) requires flexibility and openness to what each day brings, and an ability to let the little things go and focus on the big ones. I choose to believe that God was working to better equip me to handle this new journey as a mom through this whole process. And while it may have been nice to have all of those "little things" on my list go exactly how I wanted them to, in the end, the only thing that matters is the "big thing" did. We have been blessed with a beautiful miracle in our child. In the end, this is all that truly matters. Welcome to the world, little Asher. We are so glad you are here. Beautifully said!!!! Prayers r with u and your family! Thank you - we appreciate it :)! Krista we love you all so much! Thank you for being so transparent through such an emotional and scary situation. Thank you for being so transparent with your feelings and faith. May you continue knowing God has this situation and all of you under His watchful eye. Hold tight to His truths. We love you! Thank you Missy. We appreciate it! Loved reading this post. And as you stated it...that things did not go as planned, you have a beautiful and healthy baby boy. Kelly - thank you for the support, and we are so grateful, most definitely, for a healthy little man! I'm so HAPPy you are believers & have Him to rely on! Proud of you both for doing everything you can, while accepting the things you can't control! He has a plan for Team Happ & it will be a GREAT ONE!!! Thanks for your kind words Doug! We appreciate it :)! Even though I never had difficulty with any of mine, I have twin grandsons who were also born 6 weeks early. They spent from November 10,2012 till December 23, 2012 in the NICU at RMH. It is such a place of miracles and I am sure that the NICU that Asher is in also has to be. I just want to tell you that you are a strong woman and you and Ryan will be the best parents and that Asher is going to be just fine. He just wanted to see you two early to find out just how beautiful the family he has been born into is!!!! Congratulations and enjoy because they grow up way to fast! Thank you for the kind words Bea - I try and tell myself he just wanted to meet us a bit early as well! ;) We are thrilled to have him here and well! Thank you for sharing your story with honesty Krista. It is true that God knows best and He is in control of all things. You are doing your part by submitting to His will. May God continue to bless your family as you trust in Him and walk in His ways. Thanks for your kind words and support, as always, Corinne :)! You all continue to be in my prayers! I am rejoicing with you that he is here and so thankful that he continues to grow. I'm mourning with you at the change of plans and can imagine the ache that lingers. It will soon be replaced with all the good that baby boy will fill you up with! It's all in His hands as comforting but hard as that is. Thanks dear! We appreciate all of the love, prayers and support!